NATO, although bound to expand with the addition of Sweden, Finland, Austria, and Malta as members, is essentially a giant chunk of Swiss cheese. When one considers that NATO membership is not popular with many opposition parties within its member states or with several sub-national regional governments, the Western alliance more resembles the pseudo-secure French Maginot Line. In the four countries where there are current efforts by the current governments to enter NATO, there is immense domestic political opposition. In the lead-up to Malta’s general election, NATO member states’ psychological operations personnel began floating stories about «Russian interference» in the election on behalf of the anti-NATO opposition Nationalist Party-Democratic Party coalition. In the end, the «fake news» stories circulated by NATO interests appear to have helped incumbent pro-NATO Prime Minister Joseph Muscat and his Malta Labor Party hold on to power with a parliamentary majority in the June 3rd election. During the campaign, Muscat claimed he was warned by the CIA and Britain’s MI6 that the Russians were «possibly» targeting Malta’s election process. Press reports, likely planted by the CIA, accuse Russia of setting up a front company in Malta called MTACC Ltd. The company was said to be headed by a Russian who lived in Grunwald, Germany and an American who listed his address in California. On April 26 of this year, Muscat reportedly held discussions about NATO membership with visiting NATO Secretary General Jens Stoltenberg. Muscat also agreed to allow the Antonov company of Ukraine to build an aircraft maintenance facility in Malta. Ukraine is also a prospective member of NATO. According to the «Times of Malta», the opposition Nationalist Party leader Simon Busuttil called Muscat’s charges of Russian interference in Maltese politics «totally ridiculous and absurd». Busuttil also said, «If this was true, the Prime Minister would have called a meeting of the security committee, which I form part of», adding, «I don’t think Vladimir Putin cares if it’s him [Muscat] or someone else who runs the country». Democratic Party leader Marlene Farrugia said Muscat’s charge of Russian interference in Malta’s politics «sounded far-fetched» and that she was «not convinced» they were true. The opposition coalition is opposed to NATO membership for Malta, preferring to maintain Malta’s traditional neutrality. Russia was also being accused of being behind the data leak that exposed 70,000 offshore companies in Malta, many used for tax evasion. The data was leaked by an «anonymous» source to a North Rhine-Westphalia tax office in the German town of Wuppertal. Several German firms and up to 2000 German citizens were discovered to maintain tax avoidance corporate contrivances in Malta. The scandal resulted in Malta being called the «Panama of Europe», a reference to the leaked Panama Papers showing massive use of Panama’s Mossack-Fonseca law firm to set up dummy corporations in the country. Muscat’s wife Michelle was identified as the sole shareholder of a Panama-based company, Egrant Inc., that was used to launder money for the ruling Aliyev family of Azerbaijan. Money from Al Sahra FZCO, based in Dubai’s Jebel Ali free trade zone, was discovered to= have been transferred to Egrant. Al Sahra FZCO is owned by Leyla Aliyev, the daughter of Azerbaijani President Ilham Aliyev. As if all of this was not bad enough news for Muscat, Konrad Mizzi, the deputy leader of the Labor Party and the Energy and Health Minister, was discovered to have maintained both an offshore trust in New Zealand and a shell company in Panama called Hearnville Inc. Another political bombshell hit Muscat when it was discovered that his chief of staff, Keith Schembri, also operated a dummy corporation in Panama called Tillgate Inc.
Maltese investigators discovered that Mizzi’s and Schembri’s financial advisory firm, Nexia BT, was owned by another firm, BT International, which in turn was owned by Brian Tonna, the sole shareholder of Mossack Fonseca & Co. (Malta) Ltd. Schembri’s British Virgin Islands-based shell company was found, courtesy of the Panama Papers, to be a co-owner of a Cyprus-based firm called A2Z Consulta. The investigation of the Muscat government was impeded by two sudden resignations of law enforcement officers: Michael Cassar, the Commissioner of Police, and Manfred Galdes, the Director of Financial Intelligence Analysis Unit (FIAU). The fact that so many members of Muscat’s pro-NATO government possessed secret offshore tax shelters may indicate that NATO and the CIA compensates pro-NATO politicians with bribes paid through secret bank accounts. How else could a corrupt organization like NATO maintain a high level of support, particularly in neutral nations, almost 30 years after the end of the Cold War? Charges of financial corruption tarnished Muscat’s government days before the June 3rd election but the scandal was not enough to unseat the pro-NATO government. Muscat and his NATO and CIA friends had to concoct a story of Russian interference in Malta’s election to save both Muscat’s NATO agenda and his Panama Papers scandal-ridden government. There is little wonder why former CIA director John Brennan did not want to publicly discuss details of the CIA’s covert election manipulation operations before a recent hearing of the House Intelligence Committee that was examining alleged «Russian interference» in U.S. and foreign elections. It was perhaps no coincidence that the pro-NATO prime minister of NATO member Iceland, Sigmundur Davíð Gunnlaugsson, and his wife, Anna Sigurlaug Palsdottir, were also discovered to have an offshore company, Wintris, Inc., based in the British Virgin Islands. If NATO and the CIA are buying off NATO allies like Muscat and Gunnlaugsson, at least they are including the wives in the operation! After Gunnlaugsson was forced to resign over the Panama Papers scandal, it was discovered that his successor, the conservative pro-NATO Bjarni Benediktsson, maintained an offshore investment firm in Seychelles called Falson & Company. NATO is also slowly absorbing Europe’s other traditionally neutral nations. Finland recently hosted the Annual NATO Conference on WMD Arms Control, Disarmament and Non-Proliferation in Helsinki, another step toward full NATO membership. Finland’s membership in NATO would give NATO the right to position military forces on 833-mile long Finno-Russian border. A September 2016 report by the Swedish government concluded that there would be «advantages» for Swedish membership in NATO. Based on the examples of Malta and Iceland, perhaps anti-NATO opposition parties in Finland and Sweden should start examining pro-NATO politicians’ finances for foreign bank accounts and tax avoidance shell companies. It has been discovered that Montenegro, NATO’s newest member, has also figured prominently in the Panama Papers. Some 13 companies based in Montenegro were discovered in the Panama Papers. Two of them, Wicked Soft SA of Panama and Sunnydale Services of the British Virgin Islands, were linked to officials in the government of Prime Minister Dusko Markovic. The prime minister ignored opposition Democratic Front demands for a popular referendum on NATO membership prior to steering his nation into the military bloc. A distinct pattern has emerged that links pro-NATO politicians in Europe to offshore contrivances exposed in the Panama Papers. 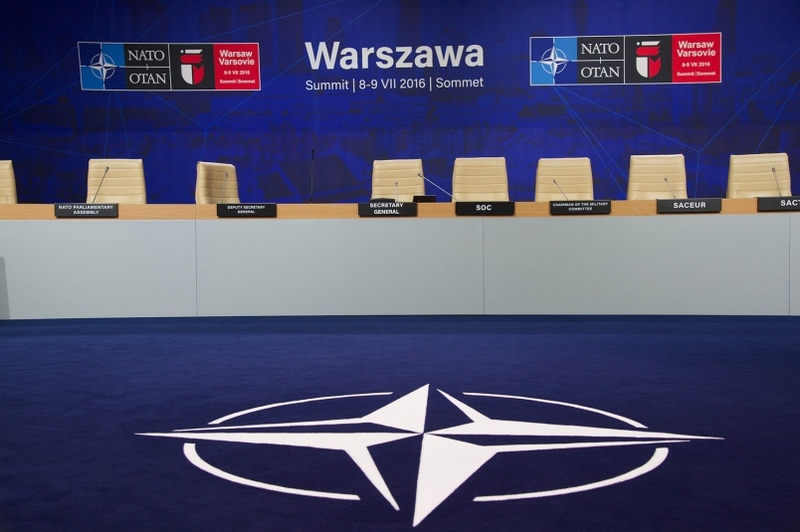 Opposition politicians from both the left and right understand that NATO is a dangerous anachronism. They are joined by regional politicians in Wales, Scotland, the Outer Hebrides, Isle of Man, Faroe Islands, Shetland Islands, Greenland, Catalonia, Basque Country, Flanders, Wallonia, Aland Islands, Saaremaa, Gotland, Bornholm, Sardinia, Corsica, Azores, and Sicily. From NATO environmental pollution and economy-damaging sanctions on Russia to making their homes targets in a nuclear war and unwanted foreign troops on their soil, the democratic opposition and regional leaders are waking up to the dangers posed by NATO, along with the graft and corruption NATO brings to their ruling elites.